July 21, 2016  The NATO secretary-general and others maintain alliance members should always defend one another. Trump says U.S. participation depends on members paying their share of the cost. 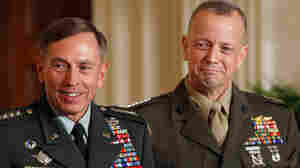 November 14, 2012  The top U.S. commander in Afghanistan has been caught up in the scandal surrounding former CIA Director David Petraeus. But the Pentagon chief cautioned today that Allen may not have done anything inappropriate. 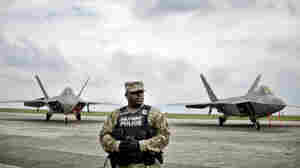 September 23, 2012  A little-known, but longtime nuclear standoff ended this week when U.S. Defense Secretary Leon Panetta lifted a 26-year-old ban that kept New Zealand naval ships from docking at U.S. bases. The ban stems from New Zealand's nuclear-free policy that forbids U.S. nuclear ships into its ports. June 7, 2012  The defense secretary expresses frustration with terrorists' ability to attack U.S. forces in Afghanistan because they have safe havens in Pakistan. June 4, 2012  In Hanoi, Defense Secretary Leon Panetta returned a North Vietnamese soldier's diary. Vietnam's defense minister gave Panetta an American Army sergeant's letters. The exchange marks another milestone in the countries' relations. 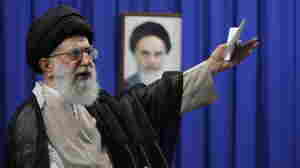 February 3, 2012  Supreme Leader Ayatollah Ali Khamenei warned of retaliation if Israel tries to hit Iran's nuclear sites. 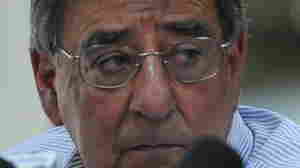 His comments followed word that Defense Secretary Leon Panetta believes there's a strong likelihood of such action by Israel this spring. February 1, 2012  The U.S. and NATO are aiming to end their combat operations in Afghanistan next year, the defense secretary told reporters today. 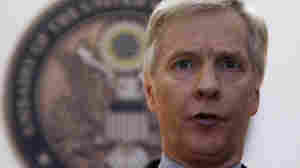 They'll continue to focus on training and advising Afghan forces. December 15, 2011  In a low-key ceremony at the Baghdad airport, Defense Secretary Leon Panetta and others marked the occasion. 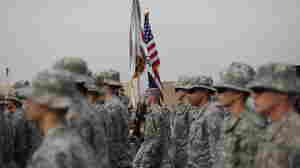 After nearly nine years of war and the deaths of 4,500 U.S. military personnel, almost all troops have left the country. June 22, 2011  About 11,000 people have been forced to evacuate their homes in Minot, N.D. And flooding continues to the south in other states. June 9, 2011  With bin Laden dead, "we have a unique opportunity to make new gains on al-Qaida," he tells the Senate Armed Services Committee as the confirmation hearing on his nomination to be secretary of Defense begins. May 16, 2011  "There was no one essential ... piece of information that led us" to the al-Qaida leader, the CIA chief said in a letter. And some detainees subjected to "enhanced interrogation" lied about key information — the identity of a bin Laden courier. May 4, 2011  At issue is whether release of a photo might inflame anti-American sentiment, or whether it's more important to show any skeptics that "we were able to get him and kill him," as CIA Director Leon Panetta says. Should a photo be made public? April 28, 2011  President Obama chose officials as part of his national security team who should be easily confirmed by the Senate. They also have a familiar, Bush-era feel. April 27, 2011  Stories this morning also repeat what NPR reported earlier this month — that CIA Director Leon Panetta will be taking over at the Pentagon, while Gen. David Petraeus moves from the war in Afghanistan to the CIA. April 4, 2011  Several sources, including government officials, say that when Defense Secretary Robert Gates steps down later this year it's possible that CIA Director Leon Panetta will move to the Pentagon. 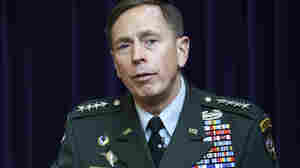 Then Petraeus might take over the CIA.